Four days before the Iowa caucuses, Thursday night’s dystopian display of Republican electile dysfunction was a perfect tableau of the GOP race. On the Fox News stage came six political midgets and one overstuffed hippo, nattering about the evils of the Obama-Clinton-baby-killing-socialized-medicine-anti-military complex. Just down the road, and a parallel universe away, a second stage provided a packed house venue for a lone wolf authoritarian’s one-man production demonstrating that Trumpism is the highest stage of capitalism? 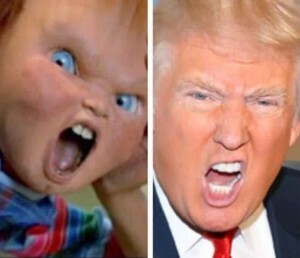 (h/t V.I. Lenin). Bottom line: Early in the evening, we were pretty pumped to watch the The Donald’s Debate Drop-Out Show, which seemed at first glance to be a brilliant, spotlight-stealing political play. It turned out, however, to be Yuugely Boring?after the first three-and-a-half minutes of same-old clinical narcissism performance art. But still not as tedious as the debate among the Seven Dwarfs, who spent two hours re-reciting and regurgitating every fabricated, fraudulent and demagogic attack they launched at the Clintons and Obama in their previous six debates. 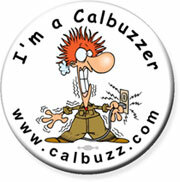 For details, please consult our peerless archive. We watch so you don’t have to: In service to loyal Calbuzzers everywhere, we wasted yet another sands-through-the hourglass two hours of our dotage on the matter. This time, we toggled between Trump’s exploitative fundraiser on behalf of unnamed “wounded warrior” organizations, and scenes of slightly shell-shocked Fox moderators asking questions of the seven non-Trump candidates, who resembled school children delighting in a snow day, in the absence of the the Big Dog on stage. Our Department of Campaign Marketing Analysis and Minimalist Political Taglines provided stripped-to-the-bone versions of the wannabes’ basic messages. Jeb Bush: I bid no Trump. John Kasich: The Kumbaya conservative. Astonishingly, Kasich said at one point that Republicans needed to invite Democrats in Washington to help make national policy, in furtherance of his broad strategy to bring together all parties in every conflict to make nice. Good luck with that Monday night, Johnny. Rand Paul: You people are all nuts. Back at the grown-up debate table, Paul made the most sense of anybody on foreign policy and NSA data collection (disclaimer: yes, it truly scares us to find ourselves in agreement with Rand Paul), although we remain skeptical about the desperate need for a Fed audit. Marco Rubio:? Too many Red Bulls. Somebody told Rubio it’d be a good idea to use the phrase “When I’m president of the United States,” perhaps as a form of unsubtle subliminal messaging, so he did so about 11,000 times. His shoe polish hair dye and thespian shtick of dramatically reciting segments of his stump speeches are both wearing thin. 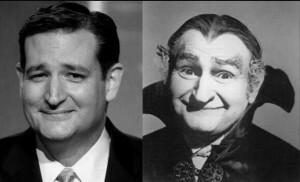 Ted Cruz: Wah, wah, wah. Running one-two with Trump in Iowa, Cruz had a splendid chance to shine, but instead had his worst performance of the campaign, a defensive and shiftier-than-usual exercise in complaining about the rules and whining that everybody was picking on him. Chris Christie: I hate Hillary. Bully boy has got one, shrill and strident, tone, which makes him sound like a third-rate actor/waiter who tried and failed to get a walk-on in an early season of the Sopranos. Ben Carson: Are we there yet? 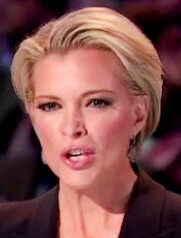 Key unanswered question of the night: Wussup with Megyn Kelly’s hair? Donald Trump, who is demonstrating a remarkable ability to whipsaw the mainstream media, the Republican Party and the GOP presidential field, often argues that Latinos “love” him and that he’ll do great among them when actual voting begins. Which, according to the Republican National Committee’s own analysis after the 2012 election, is vital to the future of the GOP. 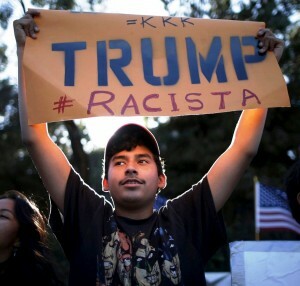 But as the latest survey from the Public Policy Institute of California demonstrates – confirming other state and national polling – Latinos don’t “love” Donald Trump. In fact they loathe him. Trump’s unfavorable rating among all Latinos in California is 84% and among Latino likely voters it’s 77%, according to PPIC’s crosstabs. Worse for Trump, his unfavorable rating among other likely voting blocs is terrible too: 71% among all likely voters, 90% among Democrats, 68% among independents, 89% among liberals, 72% among moderates, 73% among women, 68% among men and a whopping 86% among 18-34-year-olds. We could go on. On the plus side, Trump’s favorable-to-unfavorable rating among likely Republican voters is 57-41%. But then again Sen. Ted Cruz scores better at 59-35% among likely Republican voters. If Hispanic Americans perceive that a GOP nominee or candidate does not want them in the United States (i.e. self-deportation), they will not pay attention to our next sentence. It does not matter what we say about education, jobs or the economy; if Hispanics think we do not want them here, they will close their ears to our policies. In the last election, Governor Romney received just 27 percent of the Hispanic vote. Other minority communities, including Asian and Pacific Islander Americans, also view the Party as unwelcoming. President Bush got 44 percent of the Asian vote in 2004; our presidential nominee received only 26 percent in 2012. Regular Calbuzz readers know we have argued this point not just recently – showing how Trump has done for the national GOP what former Gov. Pete Wilson did for the California Republican Party – but for years (since our early start-up days, at least, before the billions started pouring in). Pathway to citizenship for undocumented immigrants is what we call a “threshold issue” for Latino voters. 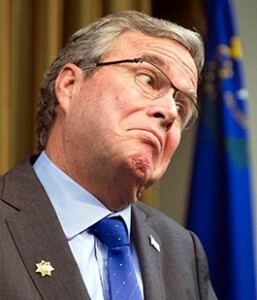 Donald Trump – and the rest of the GOP field except perhaps Jeb Bush – can’t get past the threshold because their policy toward undocumented immigrants is round ‘em up and ship ‘em home. On the other hand, he had a glove: Here’s some more bad news for the Donald: Hillary Clinton’s favorable-to-unfavorable rating among all Californians is 55-41% and Bernie Sanders’s is 46-40% — both far better than his 22-74%. Among likely voters, Clinton’s favorable is 47-52% — slightly negative – while Sanders’s favorable among likely voters is 53-41%. Of course, Clinton has been raked over the coals for decades while Sanders has never been hit with a negative campaign (which is why he’s such a risky bet for Democrats). But among Democratic likely voters, their rankings are almost the same: 71-28% for Clinton, 71-24% for Sanders. Among all Latinos, Clinton enjoys a 70-26% favorable and a 57-42% favorable among Latino likely voters. Sanders’s favorable among Latinos is 41-40% (a split decision) but he scores 53-35% among Latino likely voters. No matter how you cut it, Latinos like Hillary and Bernie a lot more than they like any of the Republicans. Interestingly, among all Democrats – whether they’re likely to vote according to PPIC’s calculations or not – Clinton’s favorable is 72-26%?compared to Sanders’s 62-27%. For a further look at how Donald Trump is alienating the Republican Party from Latinos, see this piece at Buzzfeed. PS — If you think Trump’s numbers among Latinos are bad, you should see what blacks say. According to PPIC, Trump’s unfavorable among blacks (a very small sample) is 92%. That’s a number you seldom see in any poll.